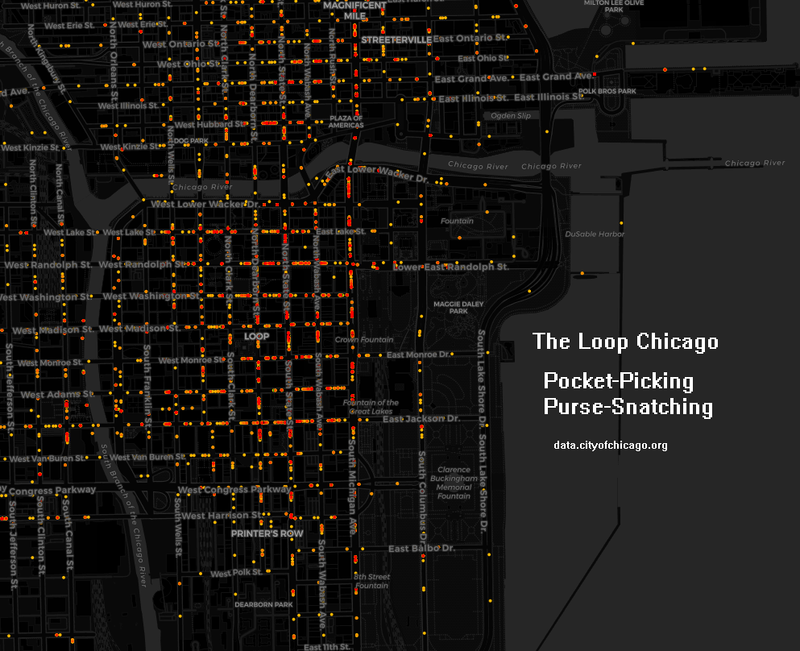 A look into downtown Chicago’s purse snatching and pocket picking. The data was gathered by the Chicago Police Department, and filtered by crime incident descriptor. Data is from here data.cityofchicago.org. Carto was used to create the maps below. The time range is from 2001 through 2018. This entry was posted in Chicago Data, DataViz on 03/17/2018 by MantasCode.